How parents give away their authority by not holding kids accountable. There’s no getting around it — giving consequences and setting limits makes you uncomfortable. You don’t like to be seen as “the bad guy.” Besides, your partner is a much better disciplinarian. Your partner has no problem enforcing the rules. The kids actually listen to your partner. It all works out, right? Not always. If you consistently wait for your partner to take disciplinary action, you could be teaching your child that you have no authority. When only one parent acts as the disciplinarian, your actions say to your child, “I’m not capable of holding you accountable.” You end up giving away your authority. For many parents, enforcing the rules just doesn’t feel good. 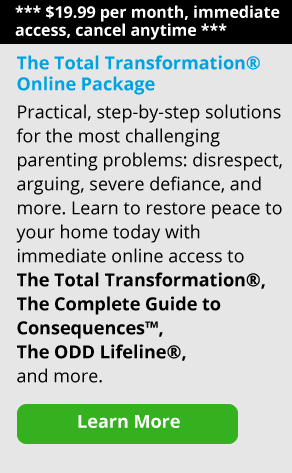 You may not like confrontation, or you may be worried about negatively affecting your relationship with your child. Unfortunately, when only one parent acts as the disciplinarian, your actions say to your child, “I’m not capable of holding you accountable.” You end up giving away your authority. The parent is using fear-based discipline in each scenario, which might work the first few times. But eventually, kids start to see through it, especially if you use the statement as a threat and don’t follow-through. In many cases, resentment can also build between parents. One parent feels like they have to shoulder the burden of holding the child accountable, or being the “bad guy,” while the other feels like the child doesn’t listen to them. Here’s to presenting a united front – you’ll both be stronger for it!